The Burton Supermodel has enough to make powder fun while still making it OK to ride when the fresh isn’t on the ground. A slight step down from the supermodel x but still has the same principles. It is nice to see the big boards out there these days. The 168 will beat your friends to the chair every time when it gets deep. The Supermodel is a good board to challenge an intermediate rider, just right for an advanced rider and is good for an expert rider who wants something easy to ride yet still has the ability to go big. FYI it was done a while back before hybrid shapes became popular so some info might be dated. There are 3 major boards in this small category of cambered slightly tapered freeride boards that all compete directly against each other. 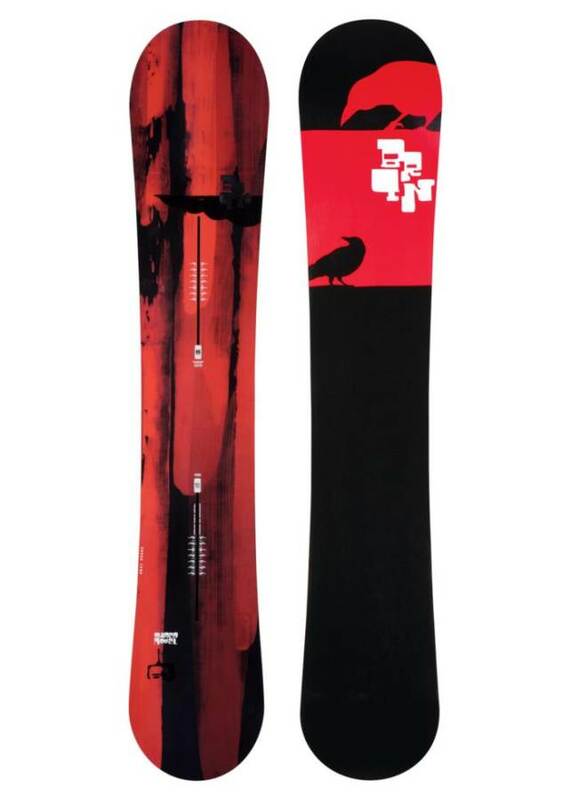 They are the Salomon Burner, The Burton Supermodel, and The Nidecker Legend. 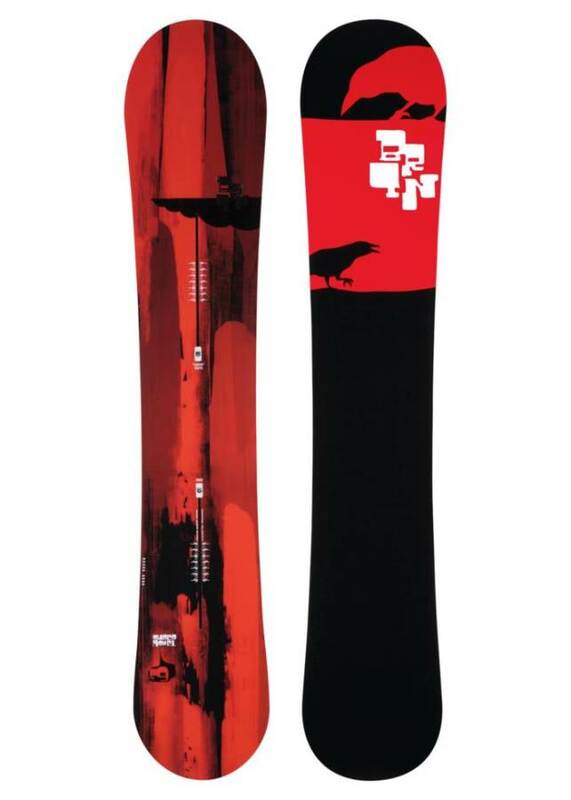 The Burner and the Legend are hard to get a hold of while the Burton is in every shop USA. We got exactly what we thought we would get out of the supermodel in our review. 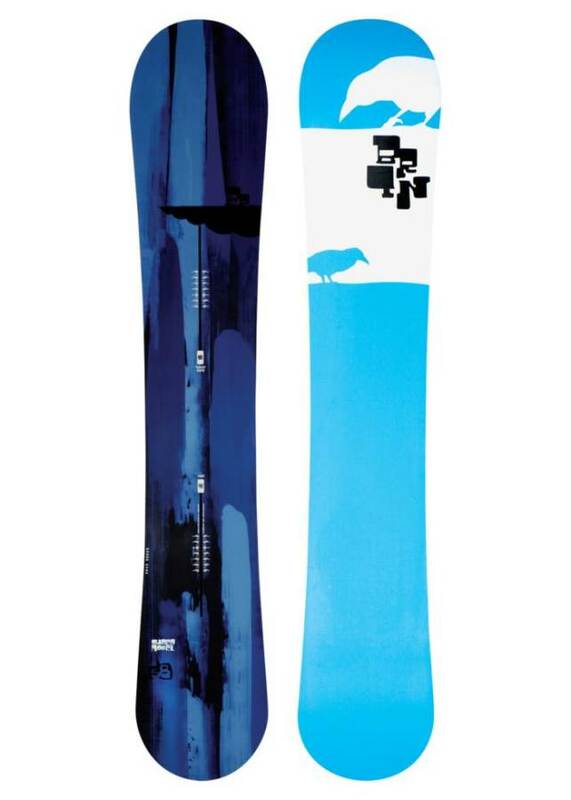 We found this to be the freeride version of the burton custom. It’s fun for almost anyone who is a pretty accomplished snowboarder and is easy to ride for an expert rider. 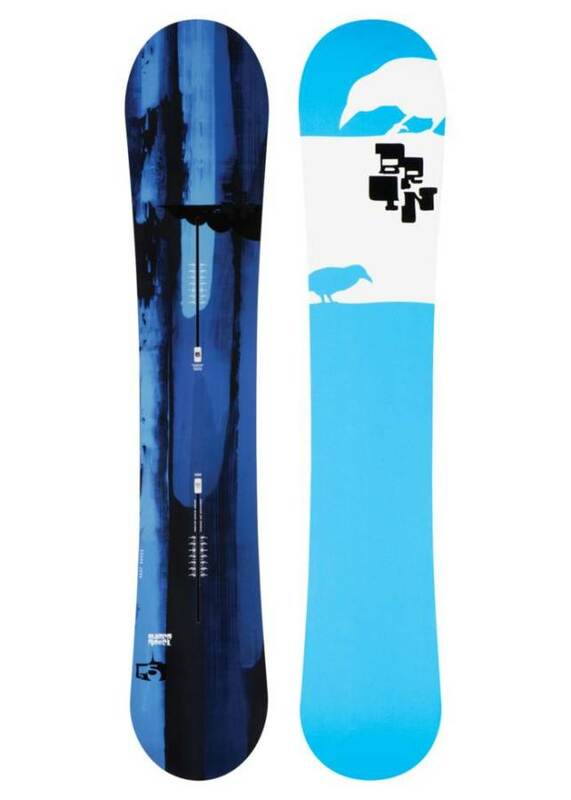 If money was no object we would love to have any of these 3 snowboards in their largest size to stay unsinkable for those super deep powder days and bomb down groomers faster than most or all on the hill. On Snow Feel: The supermodel want’s to surf the mountain and it has a stable to borderline catchy ride. It’s fast, easy to turn for its size and super fun to carve. It owns the groomers if you fancy the euro carve or the good old American straight-line. It excels on firm, but not hard days and still does pretty well in hard pack. On the slushy or chewed up days it handles the chatter the bumps can create well but is a little more difficult to make tight turns through the rutted out snow. Powder: Who says a cambered board isn’t fun in the powder! The 10mm taper and 2.5cm setback make for good floating. It’s not going to be as good in the trees as the Fish or Malolo but it will dominate in terms of speed. Its size helps on those wide open days or keeping speed in less than steep situations. Turn Initiation– This turns much better than a non-tapered board of its size and rides a little smaller than you would expect. That being said this board still takes a little work to turn and we like that. You don’t want a freeride board that you can’t lean into? You want a bit of both worlds. Something easy to initiate a turn but not too easy to where you can’t carve. 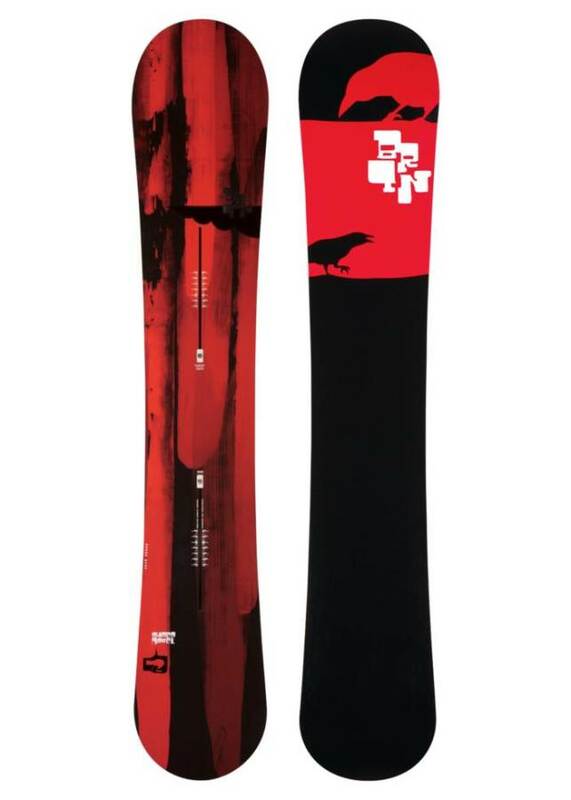 Burton does a good job with both ends of it. Speed: This is almost chatter free and that’s pretty impressive for its medium/stiff flex. There are faster boards out there but it’s not bad. Uneven Terrain: The Supermodel has a pretty soft flex for a freeride board and it handles bumpy terrain better than you would think. It’s still a big board so it’s hard to negotiate bumps and rutted up snow that requires quick turning but the flex of the board absorbs shock pretty well. Approximate Weight– It’s pretty light but it is not going to break any records. It’s sized bigger than most boards so it will be a bit heavier but pound for pound it’s pretty light. Edge hold– The tapered shape takes a little from the edge hold but its size and sharp edges make up for it and keep it where it should be. You will be fine in anything but the snowment. If you are riding this board the rest of these categories won’t matter too much but we will say this board has a lot of spring to make any natural feature a jump. It will also handle a few jumps in the park as well and anything on the mountain. It’s more of a method type of board than a 540 type of board but you should know that already. We try to get as many images of the Burton Supermodel, but forgive us if they're not all there.